Take a look at our stock of 10' and 12' used static caravans for sale. There's new stock arriving all the time! If we haven't got your requirements on this website, please ask. Click the links below to view our range of used static caravans for sale. Most listings feature exterior and interior photos. Looking to buy a static caravan? Call Strand Caravans for a hassle-free purchase with just one phone call or visit to our premises to view our off site stock! Models include: Willerby, BK, Cosalt, Atlas, Swift, Perberton and Classique static caravans. Some caravans come with central heating & double glazing. We usually have various models of Willerby second hand static caravans available. Looking to buy a static caravan? Here at Strand Caravans we have a large selection of up to 50 second hand static caravans for sale off site, at many sizes and prices. Located near to the Devon-Somerset border in the UK we are a family-owned business who specialise in secobd hand static caravan sales. We take pride in our high standards of customer service. We buy second hand static caravans in the UK, clean and refurbish them as necessary and then sell them for use as holiday homes or for a wide range of other purposes. Looking to Buy a Used Static Caravan? Our second hand static caravans are available off site across a wide price range because we buy second hand caravans and refurbish as necessary them for re-sale. For those with a tight budget we often have very cheap caravans for sale. We also supply caravans in the middle to high price brackets. Some of our more expensive caravans may only be a few years old, clean and tidy with many modern features. Some static caravans come with central heating & double glazing and en suite toilets. A Wide Range of Used Static Caravans for sale UK wide. We supply second hand caravans for sale in the UK. Our range of used static caravan sizes range from 22' x 10' up to 40' x 12' (6.7m x 3m up to 12.2m x 3.7m), and we also sometimes have twin units available for purchase. At the higher end of the range we have some luxury caravans for sale, fully furnished, with central heating, double glazing en suite bathrooms and all mod cons. We are a family-owned business situated near the Devon-Somerset border in the UK. 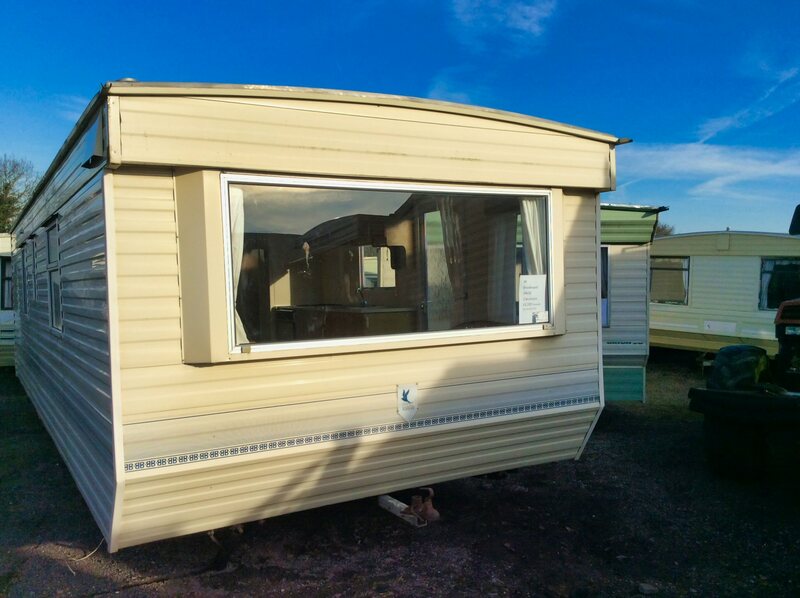 We specialise in used static caravan sales and take pride in our high standard of customer service, and have a LARGE SELECTION of USED STATIC CARAVANS for sale off site, of various sizes and models, including Willerby Static Caravans and BK Static Caravans. 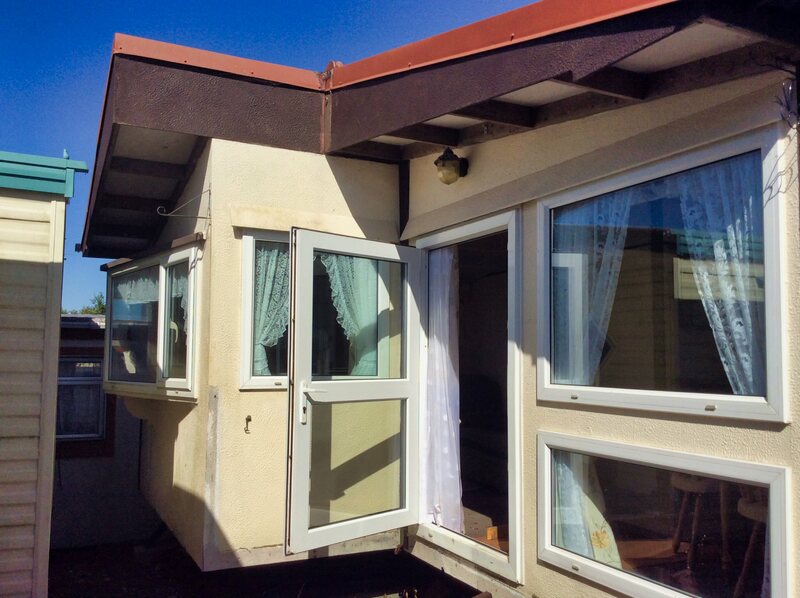 We don't use 'hard sell' techniques and welcome you to visit our premises for a no-obligation look at the current range of second hand mobile homes we have for sale. Or you can use the website to browse a small selection of our current stocks of 10' and 12' second hand static caravans for sale. For those on a tight budget we often have some cheap caravans for sale. Our business is located on the Devon / Somerset border in the UK. Click here for detailed directions. Here are just a few of the latest used static caravans for sale. Have you found any other uses? Let us know!